Dining away from home isn’t just bad for your waistline; it may also be hard on your heart and your health. Recent research shows that consuming restaurant meals is connected with an increased risk of high blood pressure that can lead to stroke, an aneurysm (swelling in the blood vessels or heart chamber) and a possible heart attack, Medical News Today reports. For the study, several researchers’ surveyed 501 young adult students, ages 18 to 40, at a university in Singapore. Scientists asked the participants questions about blood pressure, body mass index (BMI, or height-to-weight ratio), lifestyle, physical activity, and how often they ate out each week. 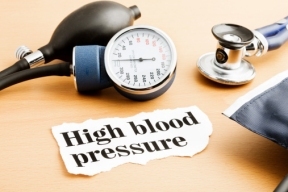 Researchers found that about 27 percent of the students surveyed exhibited preliminary signs of hypertension. A further breakdown of the data along gender lines showed 49 percent of male participants and 9 percent of female subjects had pre-hypertension. Thirty-eight percent of the students surveyed said they ate more than 12 meals away from home each week. In addition, findings showed that eating just one extra meal out each week was associated with a 6 percent higher risk of pre-hypertension. Based on the results, study authors suggested that doctors advise young adults, particularly young men, to modify their eating habits. (Translation: Watch calorie, saturated fat and salt intake.) The researchers added that physicians should inform young men and women about their risk of pre-hypertension.